Since the publication of my new book, The Forgive Process, I have had lots of conversations over the topic. Enough to know that it is an incredibly important topic… and a thoroughly misunderstood topic. Myths abound. And many people just don’t know how to do it… even if they wanted to! I knew that when I wrote the book. But I have become even more clear about it over the past month. People see the book and have a question. Which generally leads to a conversation about wanting or not wanting to forgive. Those who want to just don’t know how. And those who don’t want to often misunderstand what forgiving is about. So, I wanted to provide some resources to help clarify and even start the process. 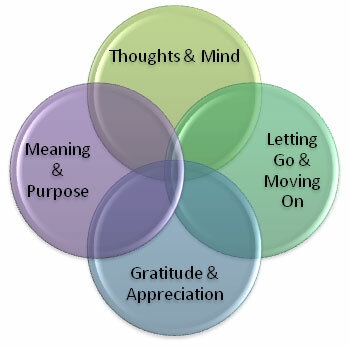 Each link below will take you to a special training to help you make a shift toward forgiving. Have you ever apologized, only to have it backfire on you, the other person even more angry than before? Have you ever had someone apologize to you, but for some reason, it left you feeling more frustrated? I’ve been there — on both sides! And after watching countless apologies in therapy sessions (some good and some more like a politician’s “apology”), I noted some “rules” to apologies that work. 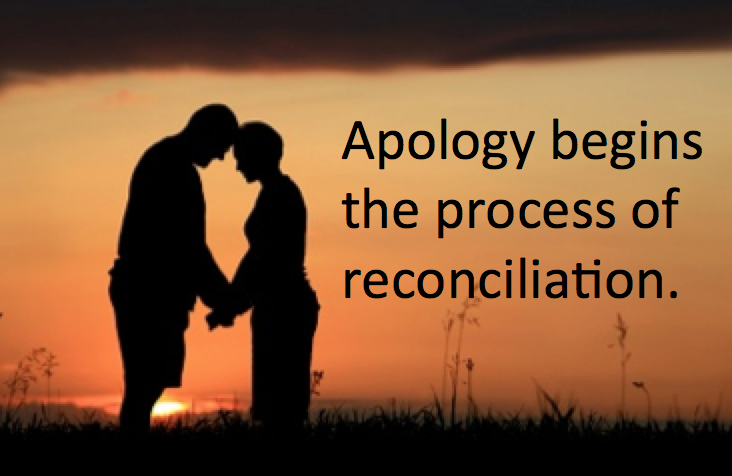 An apology that works is one that a) takes responsibility for actions, and b) leads to reconciliation. 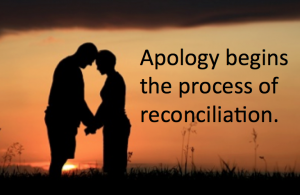 Would you like to know the 4 rules to an effective apology? 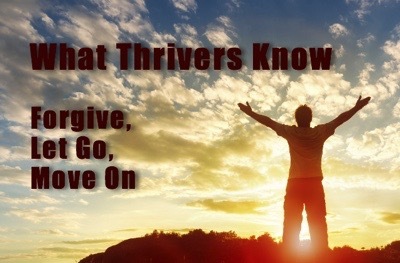 I cover it in this week’s Thriveology Podcast, the podcast for thrivers. Take a listen and let me know in the comments area below, what rules did I miss? 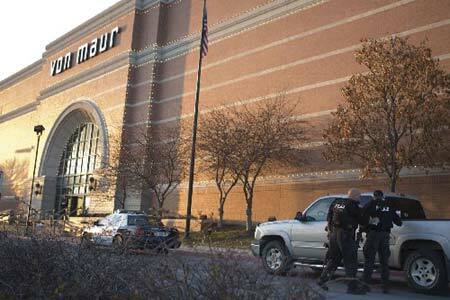 a year ago in the deadliest mall shooting in U.S. history. there was never any question in his mind that he should be there. and he can barely move his fingers. he understands it’s a different story. assault-style rifle hidden under his sweatshirt. He took an elevator to the third floor and opened fire. employees that day. Two customers also were killed. wave at half-staff in his front yard. 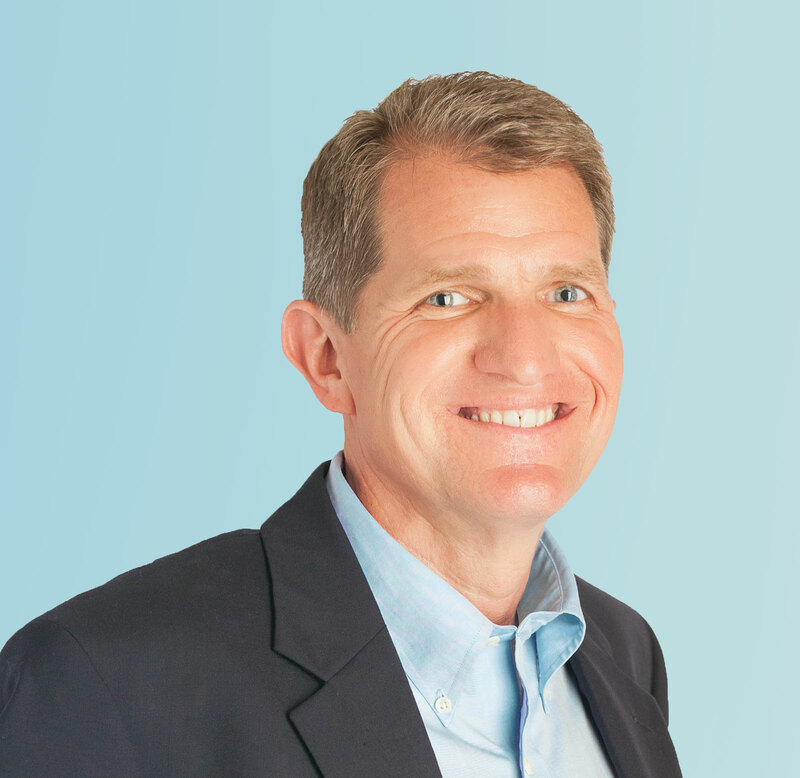 Greg O’Neil prefers not to even speak Hawkins’ name. “I don’t know when, or if ever I’ll ever be able to forgive him,” he said. without violating company rules. They later got engaged. fill his home. He visits her grave every couple of weeks. company president Jim von Maur. could offer that to Hawkins. for from the Lord and not from me,” she said. assault and attempting to sell drugs at school. balconies. A plaque at the bottom of the escalator memorializes the victims. First, let me say that my topic today will upset some folks. But I will be upsetting most of them out of a misunderstanding of my thrust. Let me say that I feel great compassion for people who have suffered tragedies. In fact, I feel so much compassion that it pains me on how much hurt is added to ourselves. I am not “picking” on the folks involved, and certainly not wanting to make an example out of the victims. Because the truth is, what I am addressing is so widespread that I would say it is a rampant belief. That lets them off the hook. Then I have to forget it. Let me point out what is behind the belief: somehow, forgiveness is FOR the other person. And that is the problem, the fallacy of this. 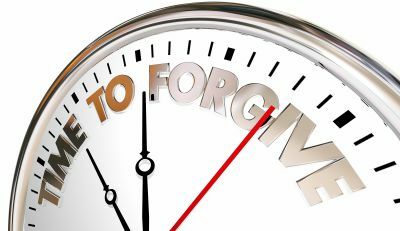 After helping people to move toward forgiveness, thinking about the topic, teaching on the topic, and trying to apply this to my own life, I have realized their are two paradigms of forgiveness. I forgive for the other person. Many of us keep getting caught in paradigm #1. So let’s explore that for a moment. This assumption is really built on several factors. The first factor is biological. Your brain is designed to keep you alive. It holds onto threats, locks them in, and is unhappy about letting them go. So, our biological design is to keep a filing cabinet full of potential and past threats. But when our thoughts, our mind, grab hold of those threats, we shift them to resentments. We store them as memories to play over and over in our minds, with a commentary about how we were hurt. It is one thing to have a brain watching for threats and a mind constantly playing through our hurts. One is protective. The other weighs us down. The first keeps us safe, the second keeps us captive. Then we have all the religious and cultural messages about how we “have to forgive.” In other words, our culture betrays us and tells us we have to forgive the other person for that other person. It misses the true message of forgiveness. Too bad. You see, in this case, the truth is behind door #2. We forgive for ourselves. We choose to forgive so that we can move forward. I am reminded here of one of Buddhism’s understandings: every life has joys and every life has pains. They are inevitable. Suffering is optional. Suffering is becoming attached to the pains. That is what NOT forgiving is about. 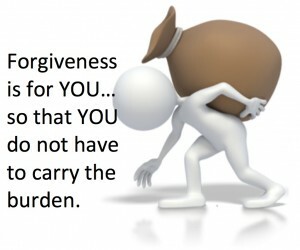 When we refuse to forgive (it is a choice, whether we recognize that or not), we are attaching ourselves to our pain. We end up suffering. Forgiveness is about refusing to be held captive from what has happened. It is choosing to move forward, to take back our lives from tragedy. It is refusing to lose ourselves to what has happened. It is about choosing the life we want to live. In this context, there is nothing that is unforgivable, because it is no longer about holding the other accountable (in this case, a dead man), but in choosing to move forward. The whole notion of something as unforgivable is caught in the paradigm that forgiveness is for the other person. That traps us. And generally, it has no effect on the other person. Let me be clear: people have to work through their grief at their own pace. At some point, for there to be real healing, forgiveness must be part of the process. And anytime we slow that process down because we have convinced ourselves that forgiveness is for the other person, we have merely increased our pain.